We’re updating our guidance on how to measure user satisfaction and completion rate. 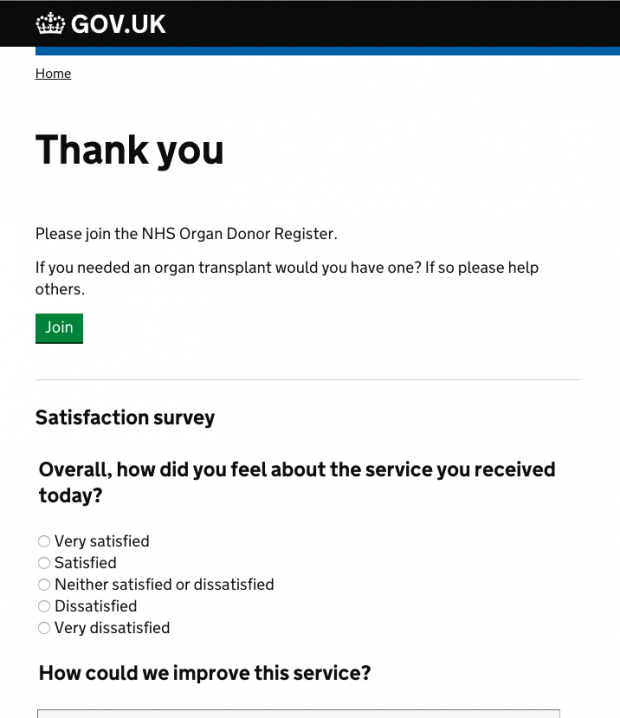 Right now, we measure completion and satisfaction using a Done page, hosted on GOV.UK. We’ve learned a lot through transforming 25 exemplar services and measuring their performance. In short, Done pages aren’t working – it’s time to update our approach. Here are some of the problems we’ve identified and how we’re fixing them. Services measure completion by counting users starting at the Start page and completing at the Done page. But there’s usually more than one way to complete a service, something a single Start and Done page doesn’t allow for. For example, you might claim a benefit successfully, or you might be told you are not eligible. In both cases, the transaction did what it was supposed to do. This is our new definition of a completed transaction. Failed transactions are now limited to errors in our system and drop-outs, where someone just closes their browser or gives up. We’ll be making sure all new and redesigned services are measuring completion rate appropriately at Service Assessments. We were asking users to give feedback from the Done page – a page you could only reach if you completed using the service successfully. This was a good way to make our services look really good, but a terrible way to get the information needed to improve them. We were missing out on the most important feedback – from the users who failed to complete the transaction or otherwise got stuck. We’ve changed the guidance in the Service Manual. Now we’re asking for feedback in many more places. And we’re letting users to give feedback from anywhere in the service through Feedback links in the footer on every page of your service. We’ll be making sure all new and redesigned services are including these Feedback links at Service Assessments. 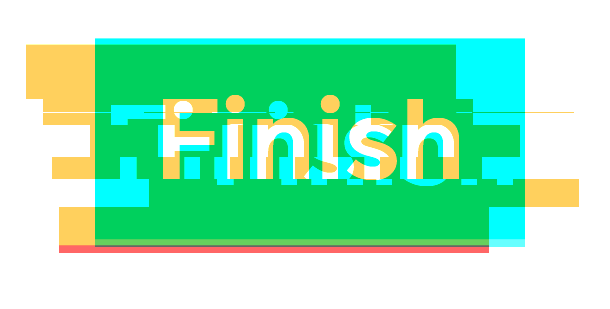 The Finish button is a dark pattern – a pattern designed to trick users into performing an action. Dark patterns achieve business needs, not user needs. It’s a dark pattern because it looks like you have to click it to finish the transaction. You don’t – you’re already on a transaction end page. The link will take you through to a short feedback survey. Done pages are a dark pattern because they mainly achieve government needs, not user needs. The intention of Done pages was to measure completion rate and user satisfaction. But the low click-through rate meant that Done pages weren’t a good way to measure completion rate. Instead, services are measuring completion using their web analytics. Analytics packages typically come with a ‘goals’ feature for measuring completion. We’re renaming Done pages to Feedback pages, to make it clear what they do. In the future, we’ll be looking at whether a centrally-hosted survey is the best way to measure satisfaction and get feedback. This is the first update to the KPIs in some time, but it’s not the last. In particular, we’re aware that the way we recommend measuring satisfaction right now isn’t ideal. It might be worth considering integrating an understanding of Assisted Digital support as part of the feedback. I.e an option to say whether the transaction/service was completed as part of an assisted digital service. In the spirit of good services being verbs, perhaps the 'Feedback' link should be 'Send feedback'? When will services have the ability to add custom questions. My service would like to ask the users a question similar to the one Tom mentioned above to help gather some Assisted Digital insight. We on the DWP Secure Comms project are looking to set up a feedback page. Please can someone lets us know how we go about it.